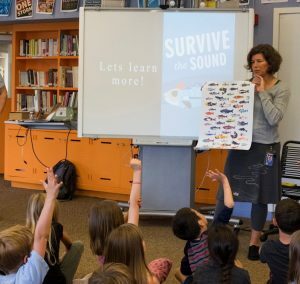 Chinook, chum, coho, and steelhead are among the salmonids whose lives depend on Puget Sound…and many lives, in turn, depend on them. When the last great ice sheet receded, it left behind a series of flooded channels that became Puget Sound, now the country’s largest estuary by volume. The Sound gave rise to the region’s ports and cities and remains the beating heart of an economy that sees a constant procession of ferries, freighters, and fishing boats plying its waters, and jet planes and e-commerce flying overhead. 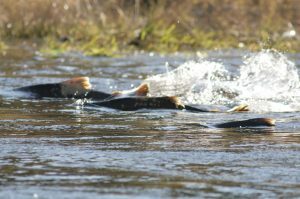 Amid this hubbub of human activity, the great salmon runs continue, as they have for eons. The Sound is home to bald eagles, great blue herons, harbor seals, and our iconic Orca whales. 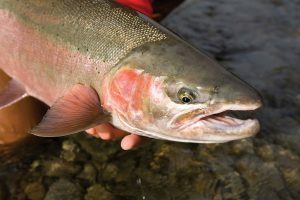 For so many of the Sound’s migratory and resident creatures, salmon are a great unifying force, the life-giving species that sustains them, even the towering Douglas firs derive benefit. 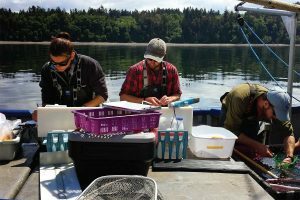 The ecology of Puget Sound has remained vibrant through decades of increasing human activity, but the balance is growing more fragile than ever. 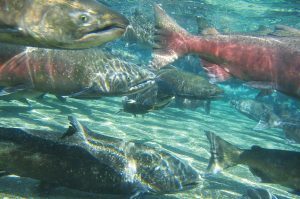 It is time to act aggressively to protect the salmon and other species in and around Puget Sound, so that we can ensure a productive future for these waters that have already given us so much. By saving salmon and the lands and waters they need, we may actually be saving ourselves. Are we making progress on Long Live the Kings’ namesake fish in Puget Sound?